Bombay Restaurant Cuisine of India serves up a solid (if a bit too spicy, in some cases) rendition of Indian food in weekend getaway San Bernardino County. 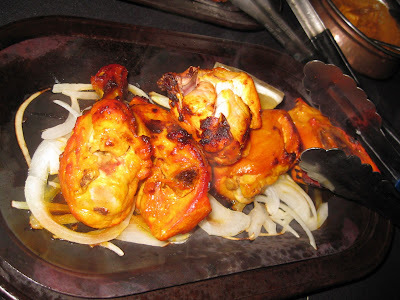 The Details: On the drive back from a Lake Arrowhead day trip, Nick and I realized it was the perfect chance to try out another Indian restaurant in San Bernardino County. The county is a short drive from where we live in Los Angeles County, but it always feels a world away. San Bernardino is the largest county in the lower 48 states by area, but its population is so sparse for its size. Compare that to L.A. County, where I can literally tell what song my neighbor is listening to on her iTunes. (Pat Benatar, again? Really?) It's a nice county for a weekend escape. We took a quick detour off of the freeway to Bombay Restaurant Cuisine of India (whew, the name itself is a mouthful). Unlike in L.A. County, parking here is not a problem. 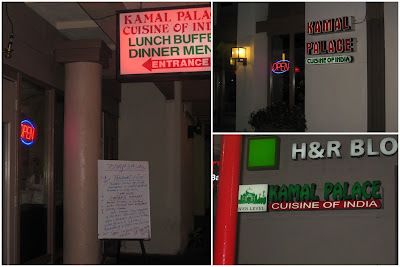 The Indian restaurant shares a private lot with several other businesses. Inside, the decor was nothing special. It has a traditional red and gold color scheme, some Indian music playing, no real artwork, and some traditional light fixtures that look a little out of place. The complimentary papadum was too spicy for us to finish. Bummer that the spice gene seems to have skipped my generation in my family. I wonder if my little nephew can handle it. 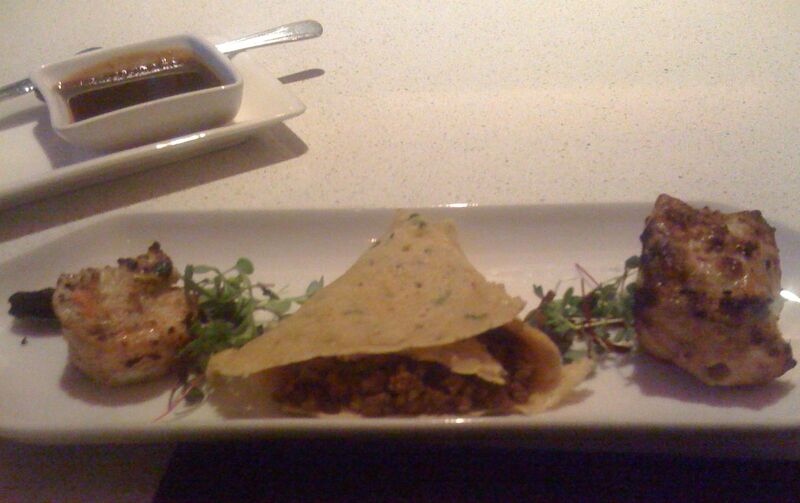 This papadum is not for the faint of heart. Since we were given a choice of spice levels for our entrees, both Nick and I picked mild. 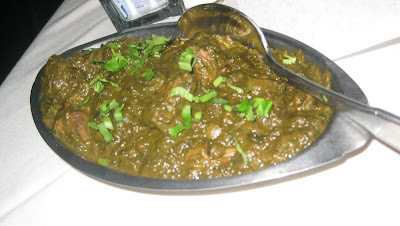 Nick got the Lamb Palak, diced lamb cooked with spinach and ginger garlic. 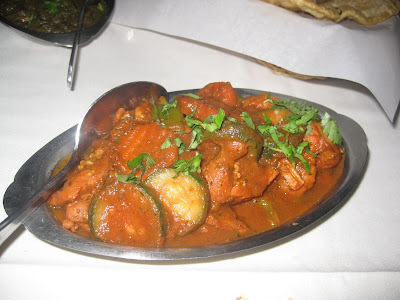 Always on the hunt for vegetables, I got the Chicken Jalfrezi, which was described on the menu as tender chicken pieces cooked in fresh vegetables, ground herbs, and spices. I was happy to see the dish featured an assortment of veggies including zucchini, carrots, and cauliflower. 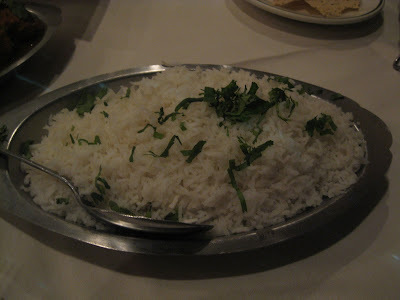 We got a side order of Basmati Boiled Rice, which was $3.95. All entree selections are served a la carte, though there are a wide variety of rices, breads, and other extras (pickles, chutney, raita, etc.) that can be added. There are about four options for complete combo meals that include rice, naan, and other extras; those start at $17.95 per person and are available for dine-in only. Nick of course was ecstatic to see that his favorite (and somewhat elusive) Indian bread -- poori -- was available. 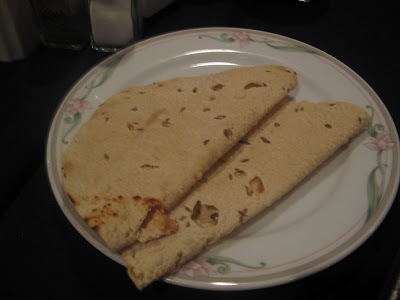 However, he was none too thrilled to discover that it was made from whole wheat (not white) here and tasted of it. "I'd rather they not messed with it," he said. 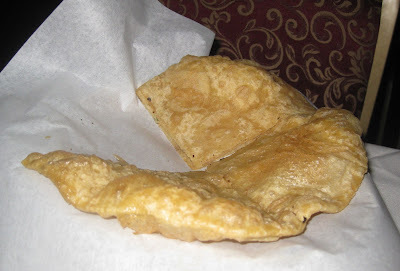 Truth be told, poori is often made with wheat flour, but something was definitely off with the restaurant's recipe as the bread was not all fun and poofy as it should be. 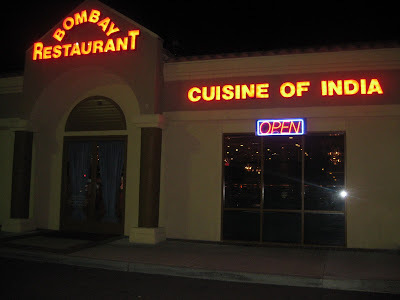 All in all, Bombay Restaurant is fine but nothing spectacular. The food tastes traditional, like something my mom would make at home for the family, but not at home for company -- if that makes sense. 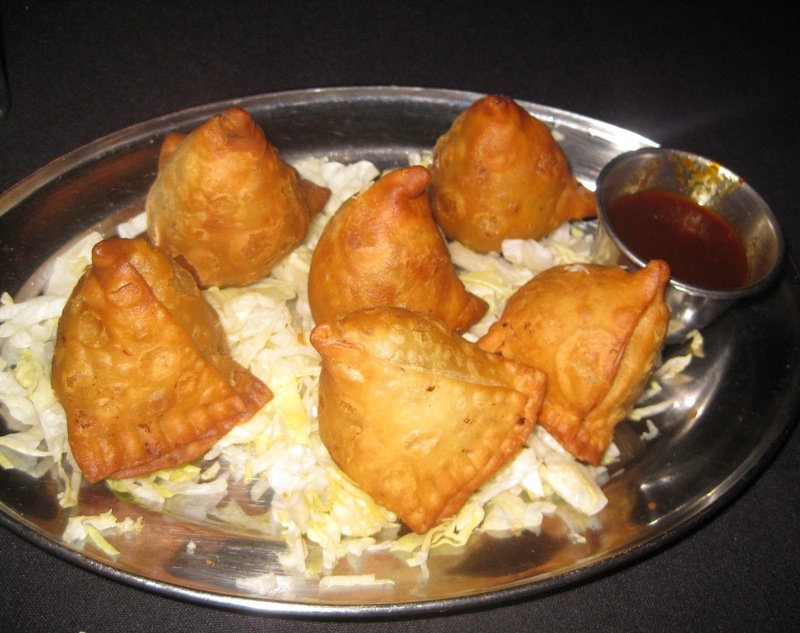 It doesn't have the richness that's typical of Indian restaurant food. The service was good; we didn't have any problems with our order. The restaurant was mostly empty, but it was a random Monday night. On our way out, our server handed us some coupons, which was a nice gesture. You can also print out coupons from the restaurant's website. What's your favorite Indian restaurant in the Inland Empire? Bombay Restaurant Cuisine of India, 405 N. Vineyard Ave., Ontario 91764. (909) 937-1282. 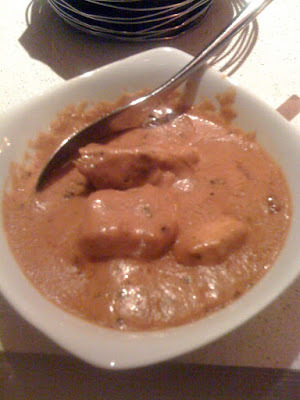 This beautiful, modern Indian restaurant and lounge offers an almost flawless high-end experience. The Details: Modern Indian restaurant-lounge Tanzore has a truly lovely decor. I'd go so far as to say it's the most beautiful Indian restaurant I've ever seen. Nick went to far as to ask me, "So, why aren't we getting married here?" If you're having a high-end Indian wedding (with an equally high-end budget), you could actually get married here. Adjacent sister venue Gaylord offers several banquet rooms. The Lotus Room holds 200 guests, the Haveli Room, 35 guests; Tanzore's own lounge can be rented out for up to 80 guests; or rent out the whole place, which can hold up to 450 guests (though this still might not be enough space for the typical Indian wedding -- unbelievable but true!). Tanzore has been around in this incarnation since July 2007. 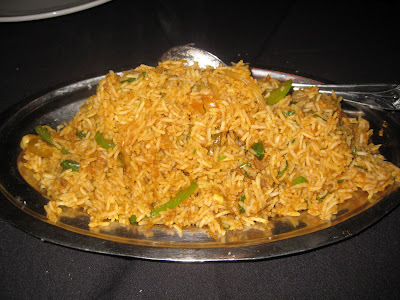 Before that, it was Gaylord India Restaurant, one of the outposts for the Gaylord India restaurant chain that's headquartered in New Delhi, India, and that has several locations throughout India. (Gaylord still has several international locations, in cities like London and Hong Kong.) 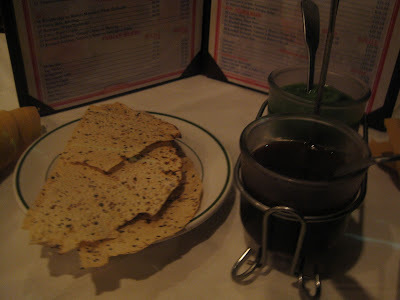 When the Beverly Hills location changed to Tanzore, it kept select menu items from Gaylord. Not really being a high-end couple, Nick and I classify Tanzore in the "special occasion" category of restaurants. In fall 2010, we got seats at its annual Diwali Red Carpet Event. This event is an almost-weeklong annual celebration at Tanzore, and the Friday and Saturday events sell out every year. (The full Saturday event includes a 3-course dinner, live DJ and dancing, henna artist, fashion show, exhibition booths, Bollywood dancers, and club night.) Nick had a conflict for the weekend events, so we went on Thursday night, which was the 3-course dinner, plus a live Indian flute player and a henna artist. 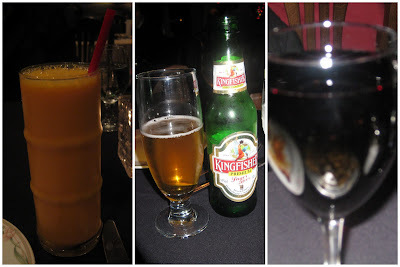 For the second course, I thought we'd have to choose between the three items, but, as it turned out, we each got all three! 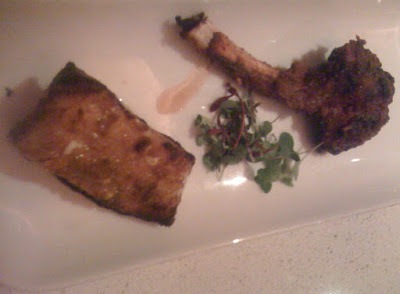 I liked the Tandoori Chillean Seabass (left) best of of the three. Also on this plate was an Adraki Lamp Chop, which I thought was just OK. It was gritty with spice. 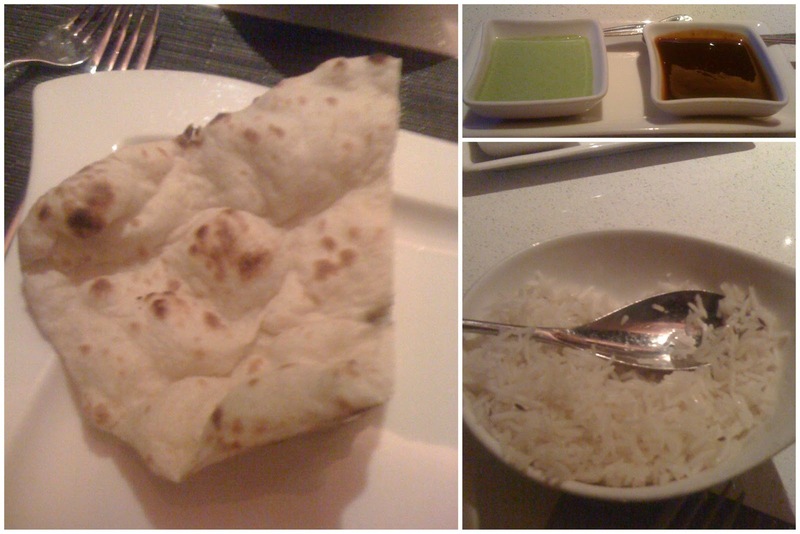 Also included were Naan, Basmati Rice, and two sauces. For dessert, we did each have to make a choice: between the duo of Indian desserts of Gulab Jamon and RasMalai or a Fresh Fruit Tart. Luckily, we each wanted a different one so I got a bite of both options. The RasMalai (right; paneer soaked and served in cream with cardamom flavoring) was so amazing. It was cold and the flavor was so terrific. I've had a lot of mediocre RasMalai, but, wow, when it's done perfectly it may actually oust kulfi (Indian ice cream) as my favorite Indian dessert. 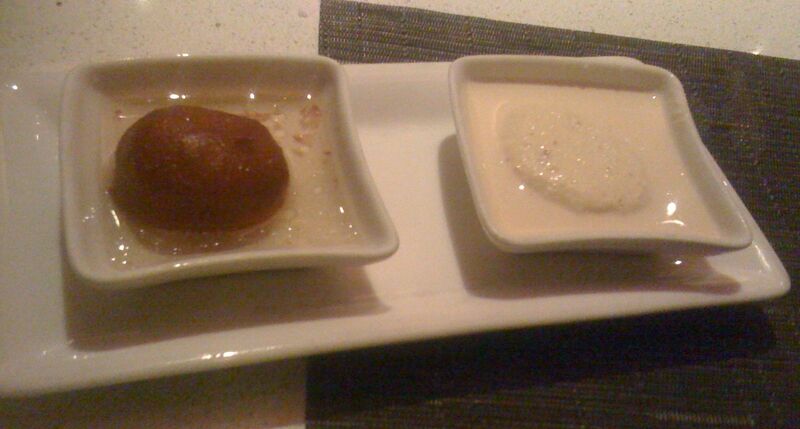 The Gulab Jamon (left; a deep-fried ball of milk solids) was served warm, but it was just too sweet to be my style. 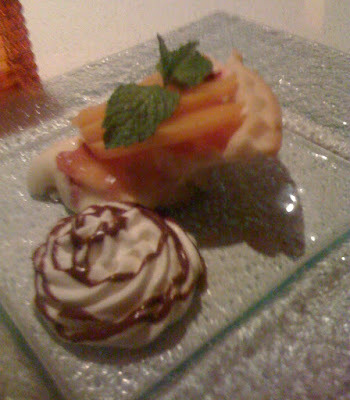 Nick's fruit tart was nice and fresh, garnished with a sprig of mint and some cream on the side. My one real complaint about the meal is that it didn't have a single vegetable. (Nick's response, "I didn't care that it didn't have a vegetable...and you can quote me on that.") But if I'd gone the veg dinner route, the veg meal would have been the same price as the non-veg meal -- which doesn't seem fair. Drinks were an additional cost. Nick got a Taj Mahal beer. A nice thing about Tanzore is that, unlike most Indian restaurants, it actually has an extensive wine list. My other issues with Tanzore are the host stand situation and the parking. The host at the host stand was on the phone both times we tried to talk to him (originally to be seated, then to ask if Tanzore validated parking). A server wound up having to seat us. I'm sure the host was busy taking other reservations, but it just seems like if taking reservations is his role, he shouldn't be placed at the front stand where real-life patrons are walking in and out and might need assistance. For parking, plan to pay -- either at a meter on the street (I think the Beverly Hills meters take credit cards, which is at least a plus), or park in the adjacent garage for $2.50 for lunch or $4.50 for dinner. Later in the evening and on popular nights, paid valet parking is also available. We didn't get any discount on our parking for dinner and we both had to take separate cars (we both came from work), so it was aggravating to spend $9 on parking when we'd just spent over $50 each on dinner. 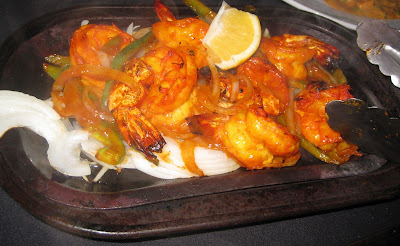 Tanzore is definitely one of the premiere special occasion restaurants in Southern California. It hosts all kinds of other cool events throughout the year (Halloween parties, New Year's Eve parties, etc. ), so join its mailing list here to stay in the know. 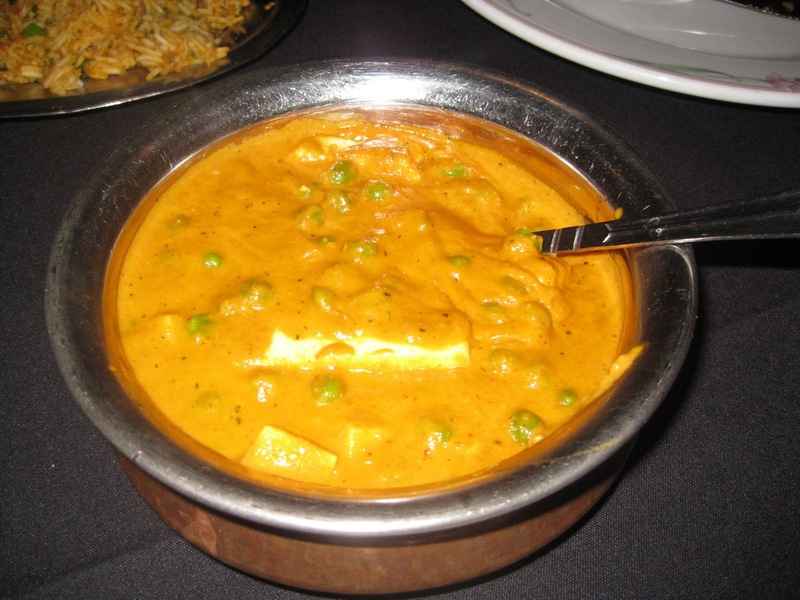 What's your favorite "special occasion" Indian restaurant in Southern California? 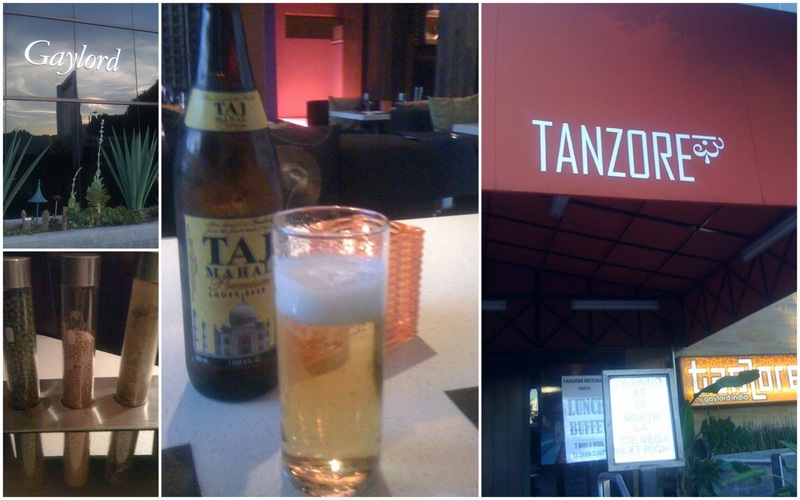 Tanzore, 50 N La Cienega Blvd., Beverly Hills 90211. (310) 652-3894.